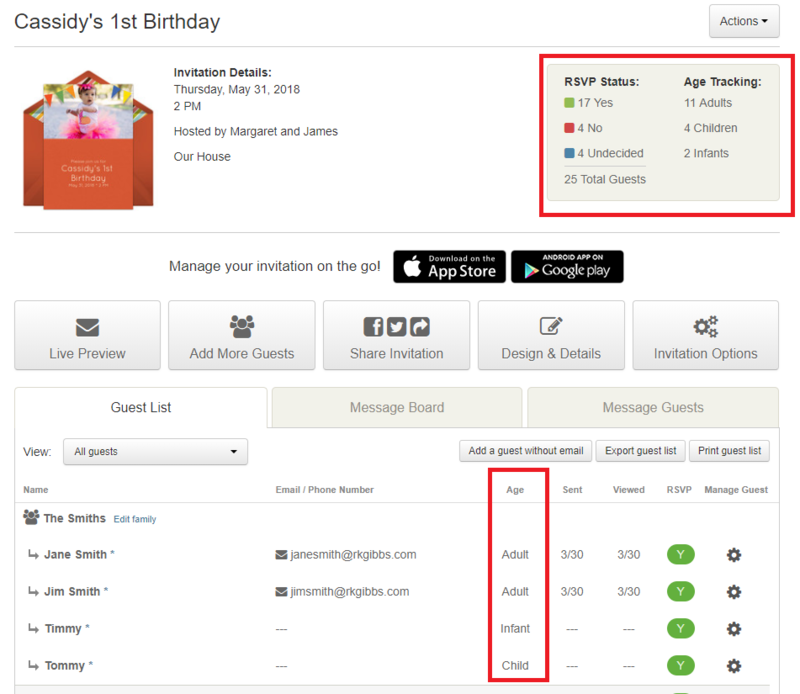 How do I track adults, children, infants on my guest list? 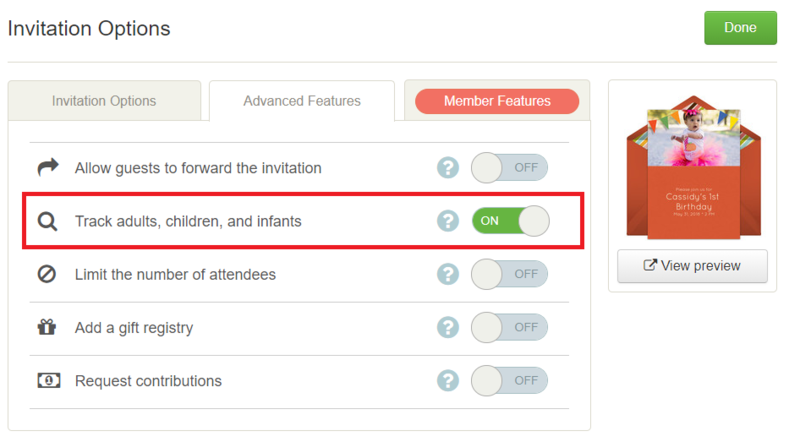 First, go to your Invitation Options page and turn ON the setting for Track adults, children, and infants (in the Advanced Features section). When your guests respond, they will indicate if they are bringing others with them and can mark whether those guests are adults, children, or infants. The age information will appear in a new column on your Manage Invitation page. The totals are kept at the top of the page just under the RSVP Status section. To turn this on when using the mobile app, first, tap on the My Invites tab and select your invitation. Next, tap on the Invitation Options button located near the bottom of the page. From there, scroll down to find the Advanced Features section and tap on the Show button. After that, the list of Advanced Features will appear, including the Track adults, children, and infants option. Tap on it to turn the feature ON.